CYSS-Aisa will make sure that the DU campuses are equipped with sanitary napkins vending machines. 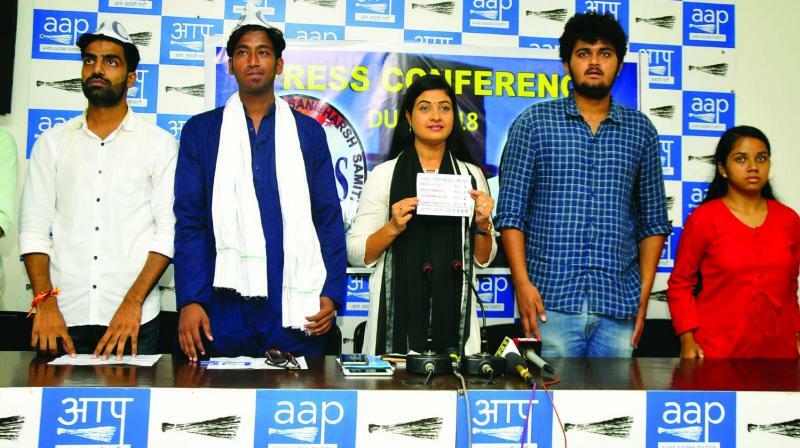 New Delhi: The Aam Aadmi Party legislator and former Delhi University Student Union (Dusu) President Alka Lamba introduced the joint panel of CYSS-Aisa with their respective ballot numbers on Wednesday. She released the CYSS-Aisa slogan ‘Badlenge DU ki life, 1-1-2-5’ for fighting the Dusu election 2018. “We shall be promoting the dialogue based model in DU which will help the students to speak out their minds and provide positive atmosphere for better education”, Abhigyan the CYSS-Aisa Candidate for the post of president said. Anshika Singh the Vice-President Candidate from CYSS-Aisa said that the students have to face a lot of pressure and torture in the campus and the promised sanitary napkins ven-ding machines have not yet been set up in the campus. CYSS-Aisa will make sure that the DU campuses are equipped with sanitary napkins vending machines. Chandra Mani Dev the Secretary Candidate from CYSS-Aisa is a hard working student from Poorvanchal said that students face a lot of problem in getting cheaper accommodation and a good library with the best collection of books. CYSS-Aisa have come together to solve these issues related to the students. 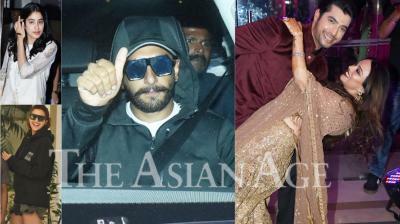 Raja Chaudhary, who is a well-known face among the students of DU, has supported the joint panel. He has continuously been struggling for the rights of students in the campus. He fought for the post of President in the year 2017 and was successful in winning the support of 4,000 students of the University. Even after the election is over he is still fighting for a better library for students because of him the DU library remains open round-the-clock. At present he is the second year student of Hindu college. He has also been active as the founder member of Parliament of Hindu College and civil services society.